This issue deals with the power of plants to influence the human mind. Whether it be the attractiveness of an orchid; the scent exuded from a rose, or the presence of mind-altering chemicals in tobacco, coffee, or peyote; plants have shown the capacity to manipulate the human mind since the beginning of time. Understanding the neuromodulatory properties of plants has been a passion of mine since first embarking on my journey as a scientist over 40 years ago. At the time, research had largely focused on the presence and function of neurotransmitters in animals, with little attention being given towards the occurrence of neurotransmitters in plants and whether the presence of these compounds can have positive effects on human health. For example, melatonin, an evolutionary molecule most notably recognized as the mediator of circadian rhythms in humans, is also found in plants; and while research has identified high levels of melatonin in foods and medicinal plants considered to help counteract ageing, the extent to which melatonin in plants can improve human health remains unclear. 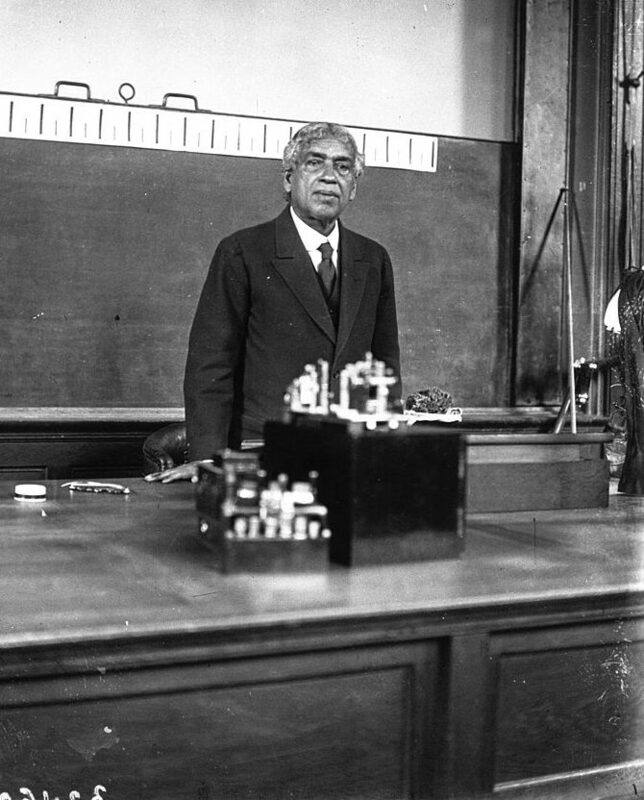 Photo of Dr. Jagadish Chandra Bose Lecturing on the Nervous System of Plants at the Sorbonne, Paris in 1926. “these trees have a life like ours…they eat and grow…face poverty sorrows and suffering. This poverty may…induce them to steal and rob…they also help each other, develop friendships, sacrifice their lives for their children…”. Further research by Bose led to many interesting ideas including the notion that plants such as Mimosa pudica are “sensitive” to their environment. He later drew similarities between plants and animals given the observation that both are able to respond to electrical stimulus through generation of action potentials. Dr. Bose’s writings also touched upon the interconnectedness of living and non-living elements of the universe, all powered by the same energy source. These ideas expressed in the early 20th century have enjoyed a “love- hate” relationship among scientists to this day. As a graduate student, then working on plant development, I always felt mesmerized and fascinated with the idea of seeing plants beyond their cells and tissues. Despite being controversial, this combination of science and philosophy ignited my passion to explore the relationship and mechanisms of communication between plants and humans and it has only grown richer over the years. It is with this enthusiasm that I bring you issue 3 of spiritual botany, I hope you enjoy!